A food supplement that reduces fat absorption and helps to lose weight. 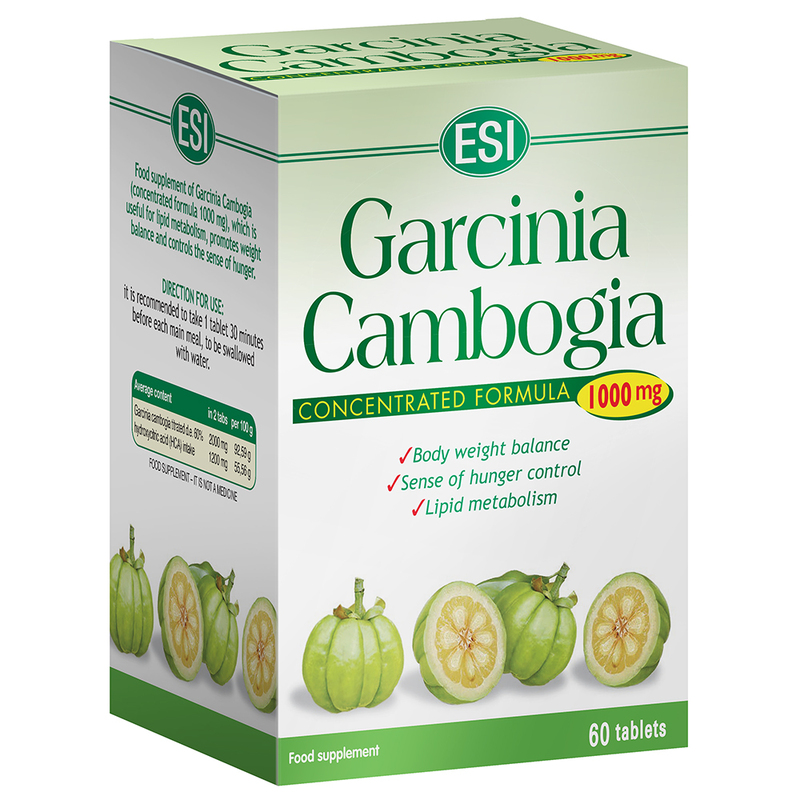 A food supplement made with Garcinia Cambogia (a 1000 mg concentrated formula), which is useful for metabolizing lipids, helps balance body weight and controls feelings of hunger. Warnings: Keep out of the reach of children under the age of three. Do not exceed the recommended amount. Supplements are not to be used as a substitute for a healthy and balanced diet and should be used in accordance with a healthy lifestyle and an appropriate amount of physical activity. If these supplements are used for an extended period of time, beyond three weeks, we recommend that you seek medical advice.